During the 1993 monsoon, floods and landslides triggered by a cloudburst in central Nepal—around the Bagmati, Kamala and East Rapti river basins—killed 1,336 persons, according to the Ministry of Home Affairs. This was the second biggest natural disaster in the country in the past 25 years. In 2017, most parts of the country witnessed incessant rainfall from August 11 to 14. The ministry, on August 14, issued a statement saying that 91 people had lost their lives in the floods and landslides. The toll climbed to 162 by the end of the season. As this year’s monsoon rains peak, stakeholders and members of the public are already criticising the government for its poor preparations. However, officials point at these two cases to argue that even in the face of a steady population growth in Nepal, the country has made commendable progress in disaster management. Nepal’s monsoon disaster response has two components. The Department of Hydrology and Meteorology under the Ministry of Energy, Water Resources and Irrigation has sections that forecast rainfall and issue flood alerts whereas the Disaster Management Section at the Ministry of Home Affairs is responsible for post-disaster response. While there might be several reasons why Nepal has made progress in post-disaster response in the last few years, meteorological and hydrological officials, attribute it to various reforms introduced in the past 25 years. “Officials never thought about reaching out to the public then,” he claims, “Even with the limited data they had, they could have informed the people that it was going to rain heavily and that could have helped save many lives.” It was much later—only after the turn of the century—that the government realised meteorological and hydrological data could play a significant role in saving people’s lives. The department later established a dedicated flood forecasting section to issue alerts, especially during the monsoon. It identified three big (Koshi, Gandaki, Karnali) and six medium river basins (Mahakali, Babai, West Rapti, Bagmati, Kamala and Kankai) and forecasts are made separately for these areas. Parajuli, who has been working as a key staffer at the flood forecasting section, informs that his section uses five major approaches. His office sends SMS alerts, runs a toll-free telephone number, updates information online, mobilises the media and the social media and coordinates with the Ministry of Home Affairs. However, there was another big challenge in launching the system: the telecom service providers were not ready to disseminate information free of cost and the government was not ready to pay. At first, the department itself discussed the issue with two key telephone service providers—Nepal Telecom and Ncell, but in vain. Later, the department requested the Ministry of Communication and Information Technology to convince the service providers. Finally, in July 2016, the department signed memoranda of understanding with the companies for two years. The agreements are up for renewal this month. Assistant Professor at Tribhuvan University’s Central Department of Hydrology and Meteorology, Madan Sigdel, who closely follows developments in the sector, hails the launch of SMS alert as the most significant step towards saving lives during disasters. He claims the system saved dozens of lives in Chitwan and adjacent areas in the monsoon last year. For Parajuli, the toll-free hotline (1155) and social media mobilisation are also equally effective. He cites one example for each of them. “One or two years ago, on an ‘island’ surrounded by Kankai River in Jhapa district, at least 32 persons were evacuated just 30 minutes before a flood inundated the area–because they called the hotline and we informed them on time,” he says. 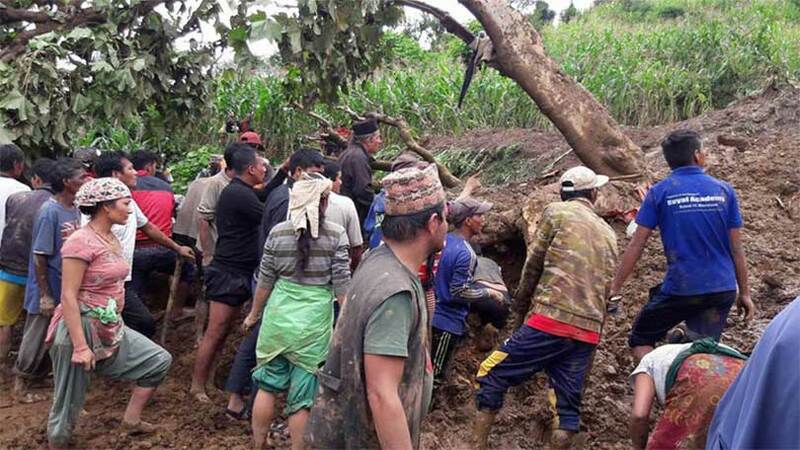 While the progress made in flood response is quite appreciable, preparations to combat landslides are often ignored in Nepal although the risk of both the events is almost equal. Like floods, landslides also claim dozens of lives every year. File- A landslide in Baglung in 2017. The progress made in flood response is better than landslide preparedness and post-disaster response, there still is a room for improvement. 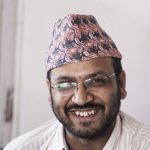 Though Tribhuvan University’s Central Department of Hydrology and Meteorology has been the key centre producing technical human resources for the Department of Hydrology and Meteorology, Sigdel accuses the department of not exploring other possibilities for cooperation with the academia. Further, he claims meteorologists and hydrologists in the department have not sufficiently exploited the room of cooperation and coordination among themselves. Parajuli, who is at the flood forecasting section for last four years, insists that human resource problem is, in fact, dire there. There are just three staffers, including himself, to issue forecasts and it is apparently not enough in the monsoon season. “We are not facing any financial crisis at the present as there are many donors supporting the Department of Hydrology and Meteorology. However, sustainability is a challenge,” he informs. Perhaps more challenging are transborder issues that Nepal has to settle with its neighbours India and China. 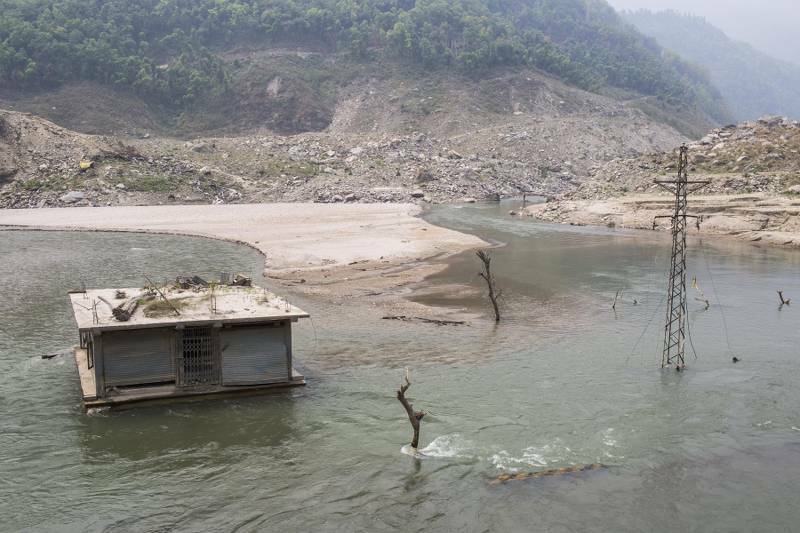 Parajuli claims the devastation caused by floods in Bhotekoshi and Sunkoshi rivers in Sindhupalchok district in 2014 and 2016 could have been prevented if China had provided meteorological and hydrological information to Nepal on time. Likewise, some places in Nepal’s southern plains are at the risk of retreating flood as many Indian structures block the smooth passage of water. Both Sigdel and Parajuli agree that increasing the lead time for flood forecasts is essential in Nepal so that population likely to be affected have more time to evacuate. Currently, hydrologists are equipped to predict floods around a day in advance, meaning people have less than 24 hours to prepare for the escape. Efforts are already underway to increase the credibility and effectiveness of flood forecasts. Parajuli informs that the department is installing three radar systems in different parts of the country to take stock of cloud conditions in real-time and forecast the intensity and location of rainfall. Again, the data generated by radar provides less lead time, but its accuracy is above 90 per cent, according to him. Because a radar system that the department will use will have a capacity of covering a diameter of around 400 km, they will be installed in Surkhet, Palpa and Udayapur. Another, major effort that is being undertaken is the deployment of radiosondes, hydrogen-filled balloons that collect data from the upper atmosphere. The department hopes that the balloons will help make weather forecasts more accurate so that flood forecasts will also get better. Likewise, the department is adding more automatic hydrological stations and automatic weather stations.